The Toyota model family is made up of plenty of vehicles that are built to bring out the best in you when you’re on the road. The cars that populate the Toyota line make up many various model types and designations, but when you’re looking for a classy, sleek and refined sedan, the Avalon line is king. The Toyota Avalon is touted as the brand’s flagship model, and looking at what it brings to the table, it’s easy to see why. There have been many changes to the Avalon between the 2018 and new 2019 model years, and we’re happy to show you what’s different. 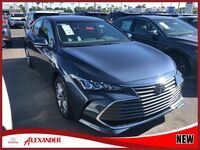 You’re welcome to join Alexander Toyota today as we show you our 2019 Toyota Avalon vs 2018 Toyota Avalon comparison. There’s a lot to cover, so let’s jump right in so you can see which model year best suits your needs and desires behind the wheel! Of course, no matter which Avalon model you opt for, you’ll be in line for the best and brightest performance and tech qualities that the American market has to offer. 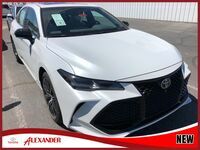 Be sure to contact Alexander Toyota today if you’re interested in scheduling a test drive – we can also get you set up with a budget-friendly financing deal, should you be ready to welcome the Avalon into your life. Stop by and see our team at your earliest convenience for more Avalon information!